Matt Murdock is coming back to the vigilante game, but in “Daredevil” Season 3, he might be more anti-hero than superhero. 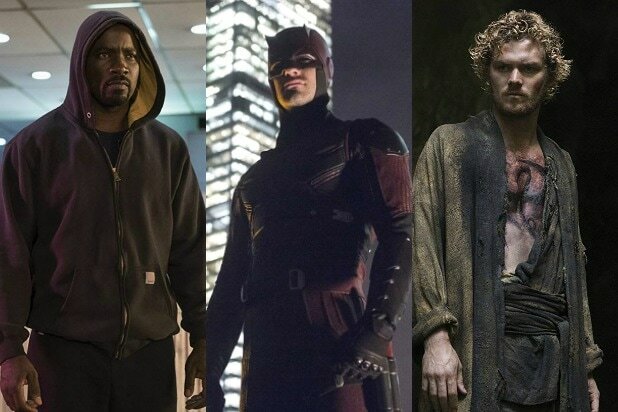 The Netflix Marvel TVverse is taking a page from the Marvel Cinematic Universe in “Iron Fist” Season 2, packing in a post-credits scene that reminds folks that, hey, Daredevil is still around. The scene finds Daredevil, bloody and seemingly injured, in a confessional booth, wearing his original black costume with the bandanna tied over his eyes. That’s what he wore when he first started beating up bad guys in Hell’s Kitchen, before getting the cool red Kevlar suit that made him a lot tougher to kill. In the teaser, Murdock sounds like he’s not going to go easy on whatever criminals and enemies he has to face now that his big set of enemies, the evil immortal ninja crime organization known as the Hand, has been destroyed. From the sounds of things, he’s also giving up on the lawyer game — his day job when he’s not working as the Devil of Hell’s Kitchen. “Darkness only responds to darkness,” he says, before admitting, “I’d rather die as the Devil than live as Matt Murdock.” So that’s … ominous. Also Read: 'Iron Fist' Season 2 Refresher: What Happened to Misty Knight's Arm? Speaking of dying, everyone else in Netflix’s universe of New York Marvel heroes thinks Murdock is already dead. He disappeared at the end of “The Defenders,” in which Daredevil, the Iron Fist (Finn Jones), Jessica Jones (Krysten Ritter) and Luke Cage (Mike Coulter) teamed up to take down the Hand once and for all. The heroes succeeded, but leveled a building under the Hand’s control in the process, stopping their plans that would have destroyed a portion of the city. Daredevil seemingly died in the collapse, refusing to leave behind Elektra (Elodie Yung), who the Hand had turned into a brainwashed assassin. He never came out of the building, so the rest of the Defenders, plus his close pals Foggy Nelson (Elden Henson) and Karen Page (Deborah Ann Woll), thought he’d died in there. As was shown to viewers at the end of “The Defenders,” though, he didn’t. We last saw Matt resting in a bed of what appeared to be a convent — and we might have gotten a hint about his mother in the process. 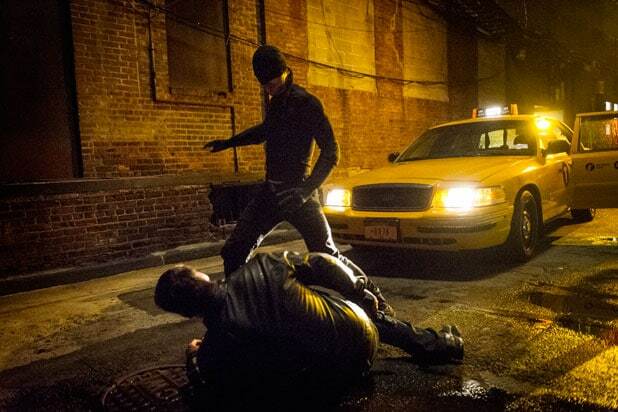 Now, after a bunch of time has passed, Daredevil is finally coming back. It doesn’t sound like he’ll be the same, though — and his personal relationships have already suffered greatly because of his choice to become the Devil of Hell’s Kitchen. It seems like things are only going to get worse on that front. Also Read: So What Exactly Is Going On with Daredevil at the End of 'The Defenders'? There’s still no firm release date for “Daredevil” Season 3, but between this teaser and a “Missing” poster shared on the Marvel Twitter account this week, it probably won’t be much longer until we find out for sure when the Devil returns to Hell’s Kitchen.